Felgemacher Masonry is the only company in Western New York to be trained and certified in HeatShield®. 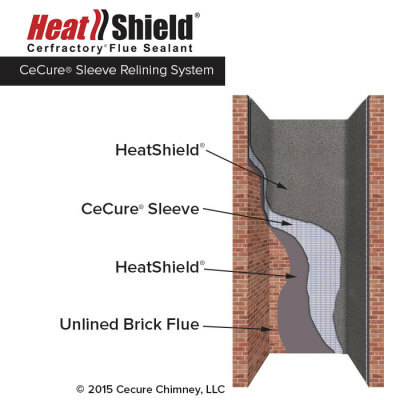 HeatShield® is a specially formulated “Cerfractory®” sealant material that restores the integrity of your chimney’s flue to vent hazardous flue gases from your home. 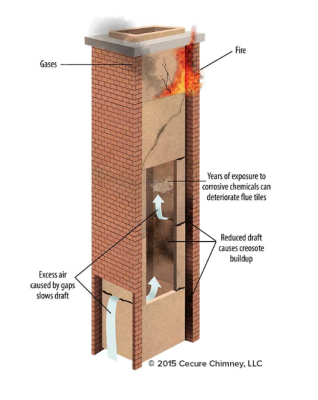 It eliminates the dangers in your chimney caused by gaps, cracks, and spalling for years to come. 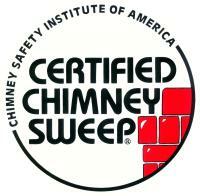 By using the Repair System your chimney will be restored to its original peak level of safety and efficiency. Independent HeatShield® Installers are carefully selected based on their industry certifications and experience. 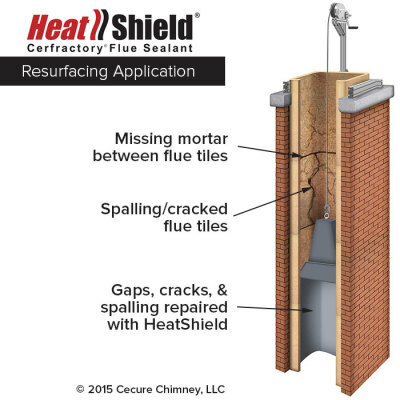 Armed with factory training and specially designed tools, your HeatShield® professional can expertly repair your chimney. Special video cameras are used to verify completed repairs. Click here to find a factory trained HeatShield Installer.